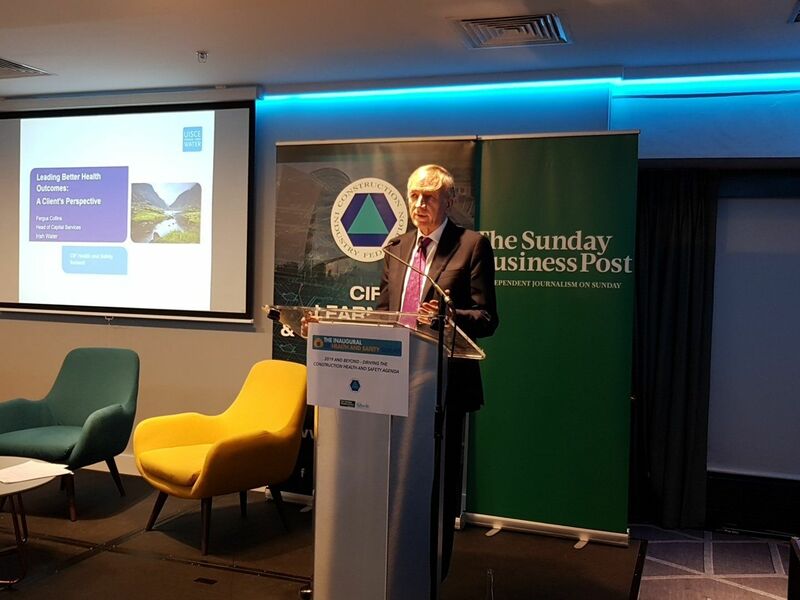 The very first CIF Health & Safety Summit was held in Croke Park on Wednesday 28th November 2018 against the backdrop of expansion in construction activity, The Health and Safety Summit looked to 2019 and beyond and featured speakers from multiple sectors. They spoke about how the industry can manage challenges to create a healthier and safer workplace for all, how new technology can prevent illness and injury, and how investing in staff wellbeing today can help save money in the long-term. Dermot Carey, Director of Safety and Training, Construction Industry Federation said: “The construction industry is on a strong growth trajectory driven mainly by ambitious Government targets in house building and infrastructure development. With this increase in activity comes an expanding workforce – new and returning workers adding approximately 112,000 people to the workforce over the next decade. This growth will bring an increase in occupational risk, so now is the time to reflect on our current health and safety procedures so workers can be busy and safe. “In the last 18 years, 1.7 million cards have been issued through the Safe Pass programme, 101,000 this year to date. This programme has provided a positive minimum entry level safety training to the industry. These requirements saw many companies developing and implementing safety management systems accredited to BS 18001 and the establishment of Safe T Cert.